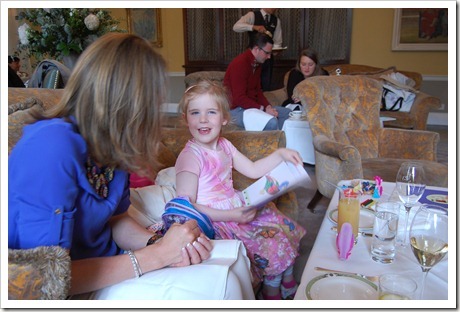 We had a lovely time in the Merrion’s beautiful Drawing Room, right in front of the fireplace. Aoibheann ordered chicken nuggets and chips from the kid’s food menu, while Nessa and I indulged in a glass of bubbly to start off the tea (it had to be done!). We then moved onto an array of finger sandwiches – duck egg mayonnaise on a brioche bun; smoked salmon with a lemony butter on brown bread and ham with mustard and tarragon on fluffy white bread. 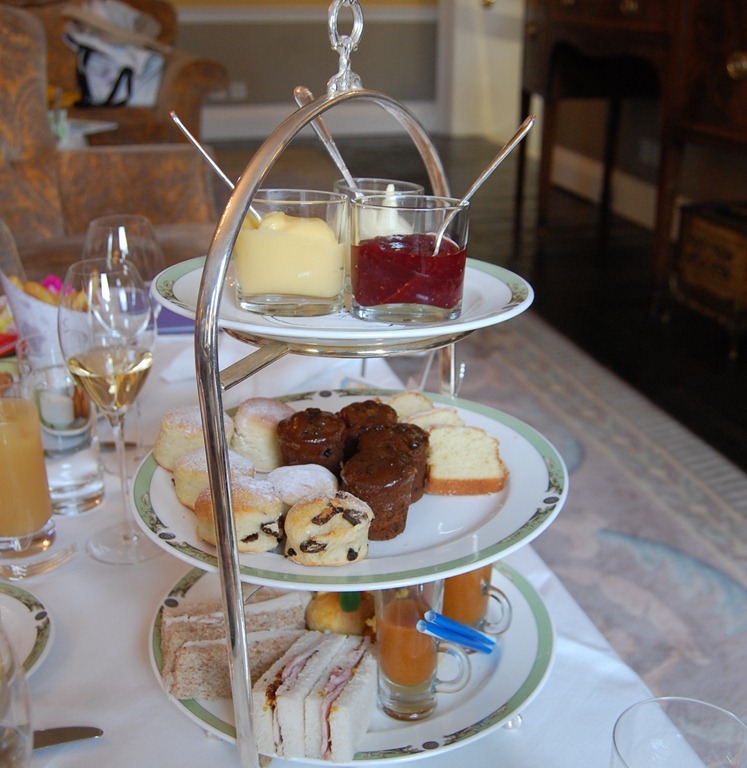 Afterward it was time for piles of mini scones and sweet cakes and breads with lashings of the most luxurious clotted cream I’ve ever tasted. 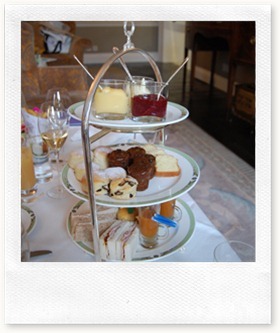 All of this was served with our choice of freshly-brewed tea. The real highlight of the tea, other than the very special treatment given to my niece (coloring books, a champagne glass for her water and lots of smiles!) 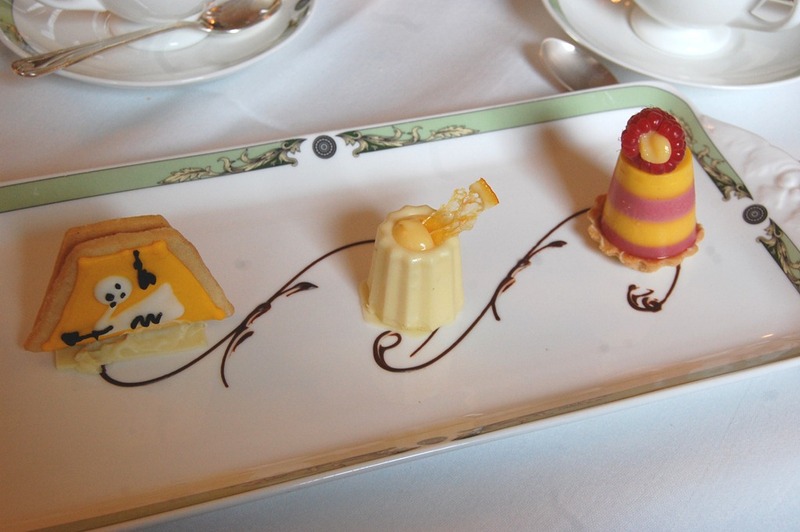 were the three delectable and stunning treats inspired by the art in the hotel. Paul and his staff create these edible works of art by hand, and each are as delicious as they are beautiful. The treats are served alongside a small printout of the art piece that inspired it, and all guests are given a bound book featuring a collection of the art in the Merrion. 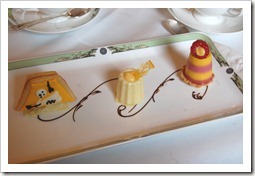 It’s a truly unique afternoon tea experience. 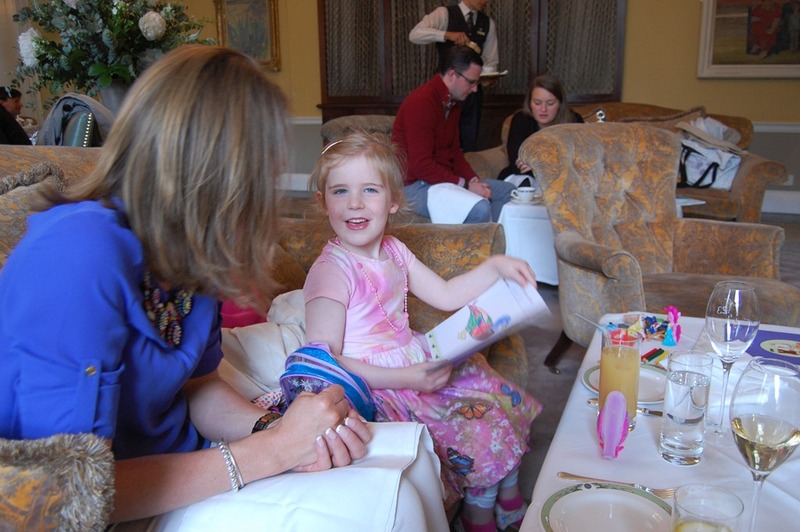 Aoibheann received her treats in a beautiful takeaway box complete with a bow and handle for carrying – she was absolutely delighted (and probably spoiled for life for afternoon tea!). It was a special afternoon, one that represented so many connections both for myself and for my Irish family. 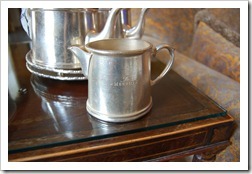 Art Tea is served from 3pm to 6pm Monday to Thursday, and is served at 2pm and 4.30pm Friday to Sunday. 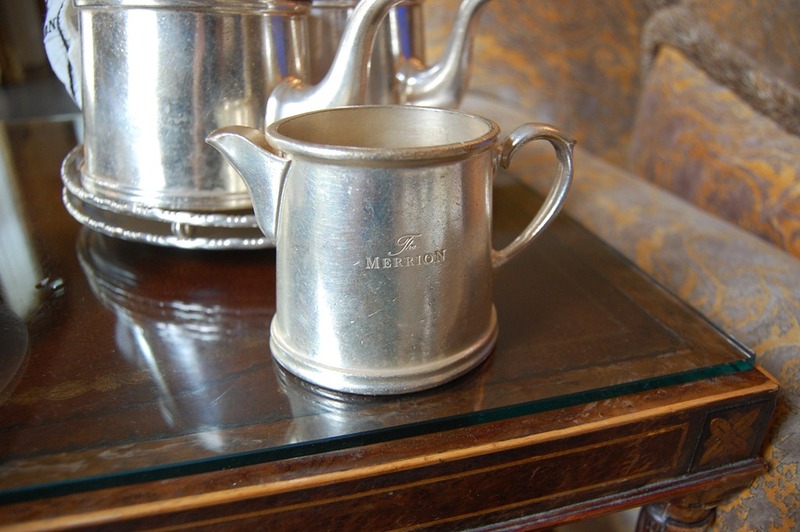 Please go here for online reservations, alternatively please email dining@merrionhotel.com or call (01) 603 0608. An American in Ireland is powered by	WordPress 4.5.17 and delivered to you in 0.257 seconds using 49 queries.